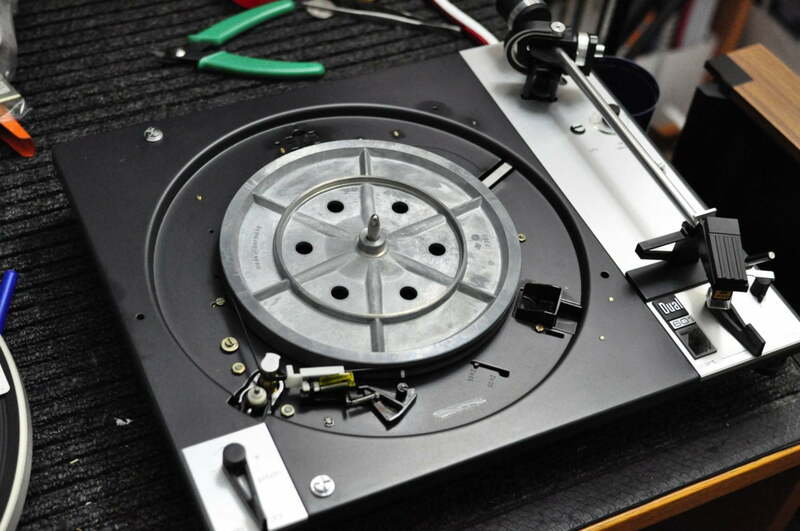 Hi folks, I recently serviced and repaired a Dual 601 belt-drive turntable. 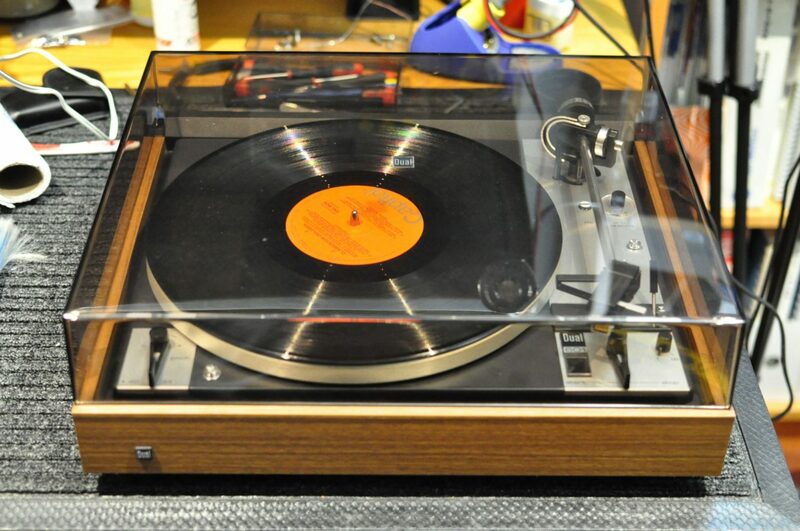 These classic Dual decks are perhaps not as well-known or as well liked as contemporaries by Thorens and Rega, but they really are very good decks, quirky in their German design, but well worth holding on to. 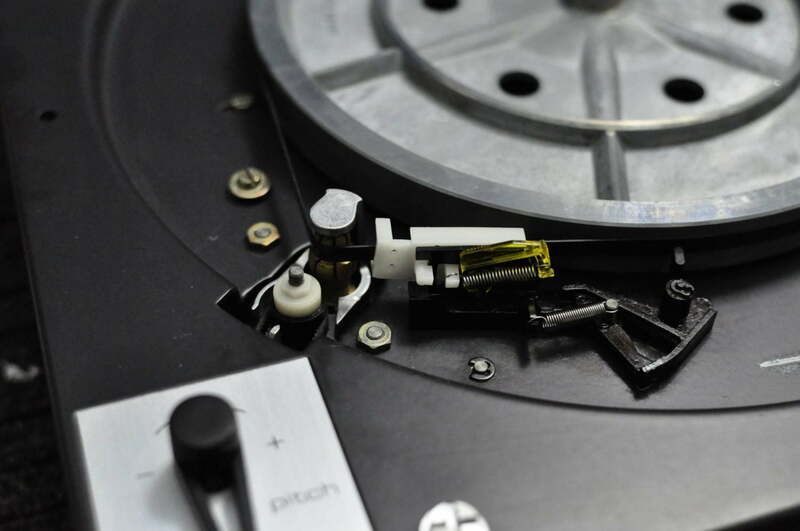 This particular Dual 601 had a very common problem, whereby the tone-arm would not return properly at the end of a record. 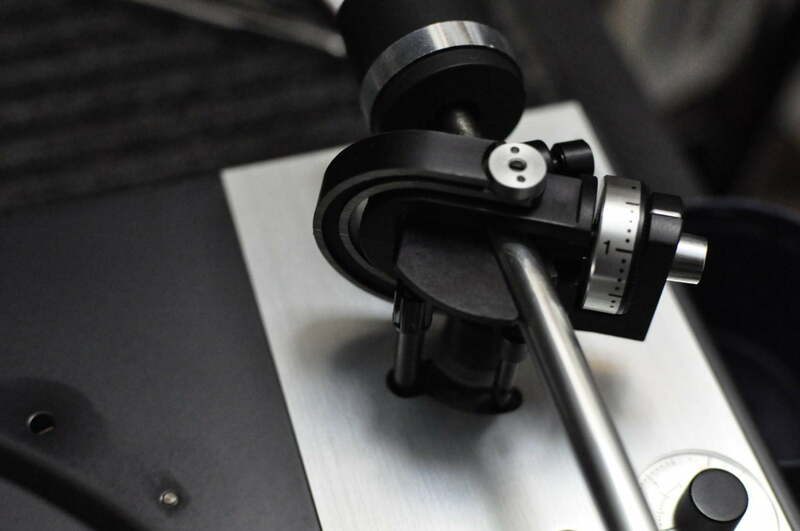 Automatic decks such as the 601 typically have complex mechanisms to return the tonearm to its resting point at the end of a side. In this case and with Dual decks, a small rubber ‘button’ wears out and perishes, falling off a small lever, causing the arm not to grabbed by the return mechanism and therefore to not return. I’ve described a similar repair on another Dual 601 here. The problem is fairly easily fixed, once you know what to look for and how to repair it. I have a few pics here if the deck in various stages of disassembly. 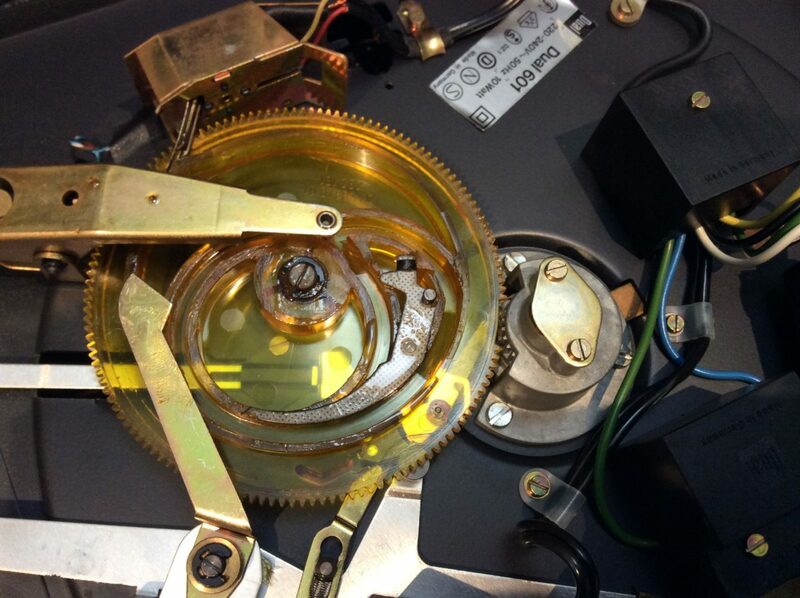 Once inside, there are numerous lubrication points and adjustments that can be made. It is very important to use the correct lubricants at the various lubrication points and not to skimp on this time consuming step. The factory service manual actually specifies something like five or six different lubricants, depending on the lubrication point! 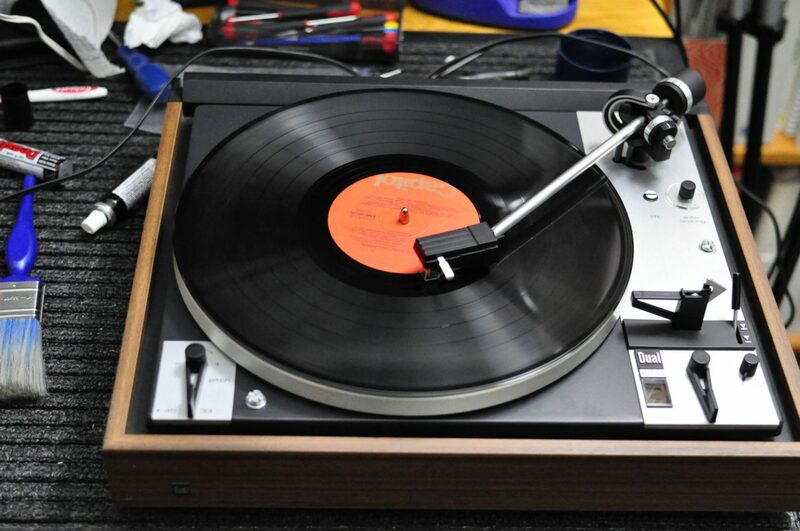 This Dual 601 needed the usual cleaning of the spindle bearing, fresh synthetic oil, various lubrication and some small adjustments before receiving a good cleaning and overhaul of the tone-arm and cartridge alignment. Once this was all done, she worked absolutely beautifully. A few images describing some of these steps can be found below. So here she is, sub-platter removed, showing the layout of the deck. 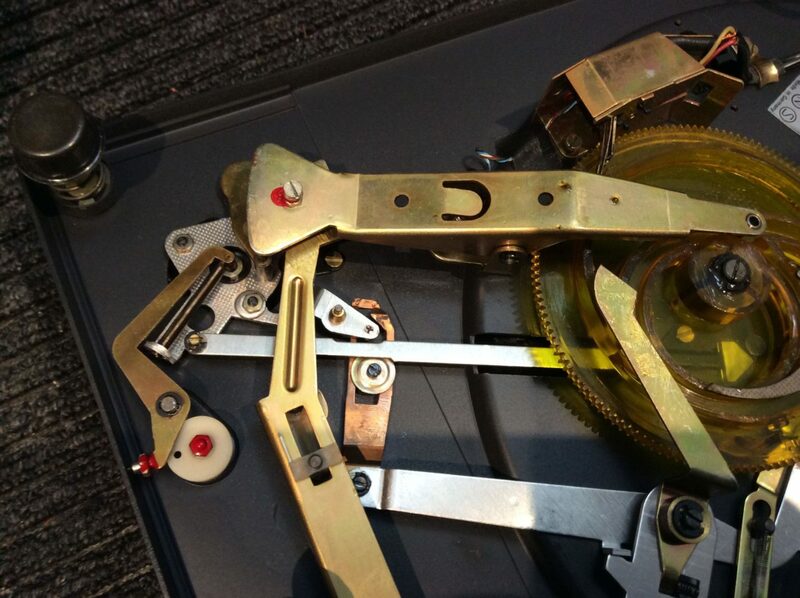 You can see the central spindle bearing, speed change mechanism near the speed change lever and the tone-arm arrangement. First job is to remove the turntable mechanism from the chassis. Some detail on the tone-arm stylus pressure adjustment. Note that this design utilizes a spring to provide the down-force, as opposed to a counterweight in other decks. Here the counterweight is set to achieve a zero-balance, with the spring doing the rest. Here we see the underside of the deck, with main orange cam which controls the deck function. Motor is situated at the bottom-right, arm return mechanism is at the top-left. The control cam in more detail. this needs to be cleaned and carefully greased. And this is the dreaded arm-return mechanism. this causes problems on basically all of these decks, but it is easily remedied. 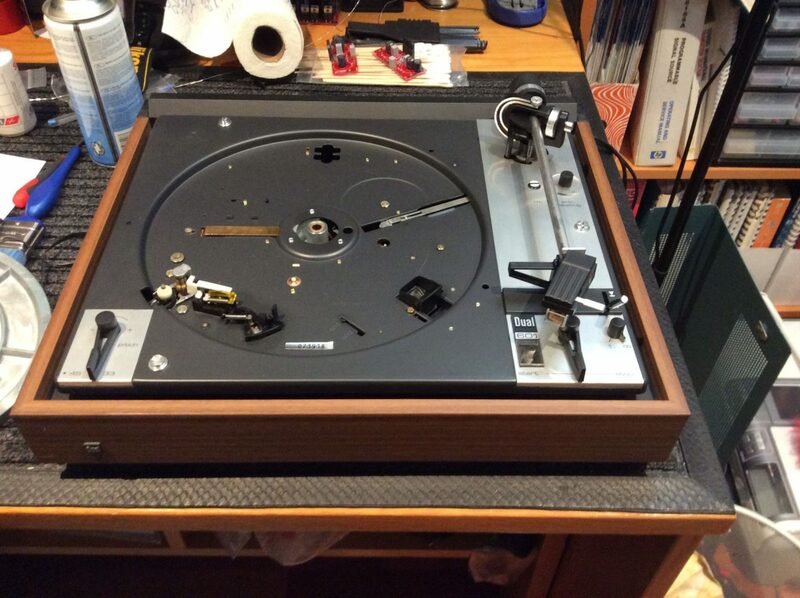 After reassembly, we are playing a test record and checking for auto-return functionality. And here she is, all serviced, repaired and good to go! 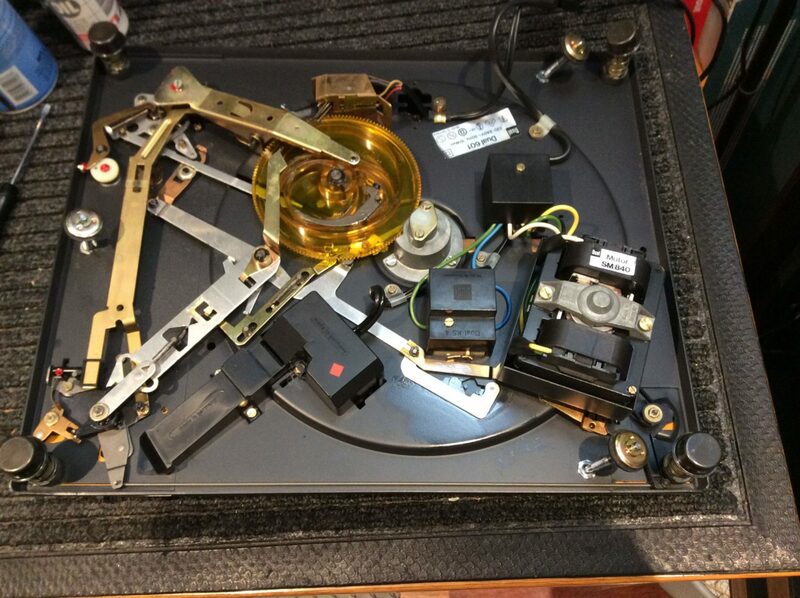 Previous PostMarantz CD-63 KI Signature CD Player Service & RepairNext PostVinyl vs CD – is Vinyl Higher-Resolution?